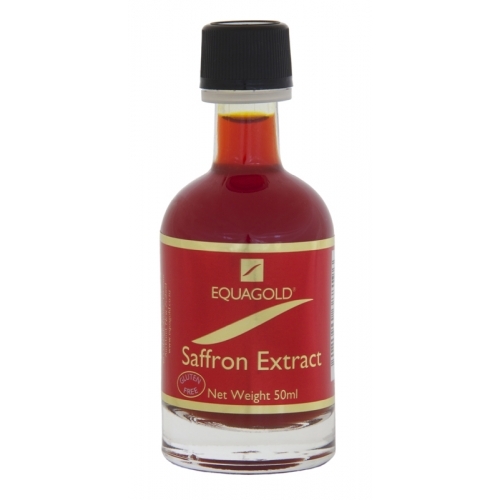 Home > Vanilla & Saffron > Equagold Premium Saffron Extract 50ml. This improved version,using water extraction, with a small amount of stabiliser, is now colour and shelf stable for 3 years or more, extraction, and now no longer needs to be stored in the freezer. Brilliant colour and flavour giving excellent results in savoury and dessert dishes. A quick alternative to Saffron threads when you don’t have time at the end of the day to soak threads for the hours needed to give a good extraction. Note: Bottle is now plastic.